Located in the central part of the façade, the 52 m² suite overlooks the city and is flooded with natural sunlight, thanks to its large windows, which can be opened to get a real feel of the city. 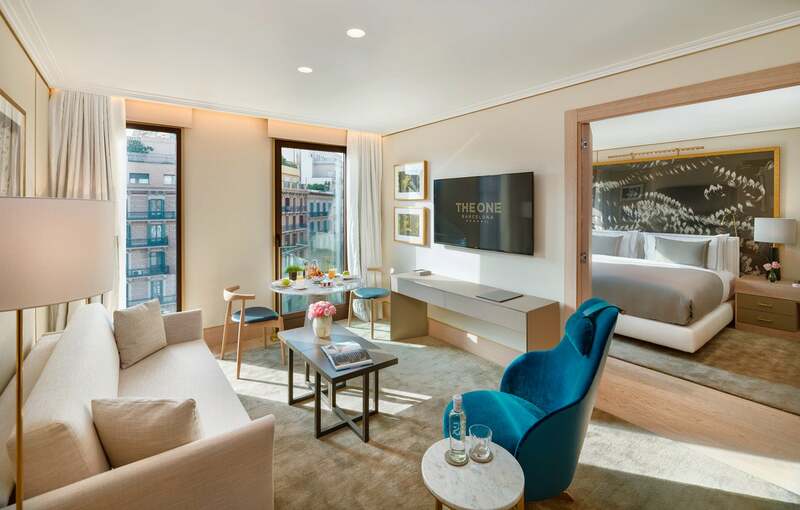 The bedroom and lounge area in a single space provide a way to enjoy the best views of the iconic Barcelona Eixample district. The majestic free-standing bathtub takes on the leading role in the bathroom. Maximum occupancy: 3 people. 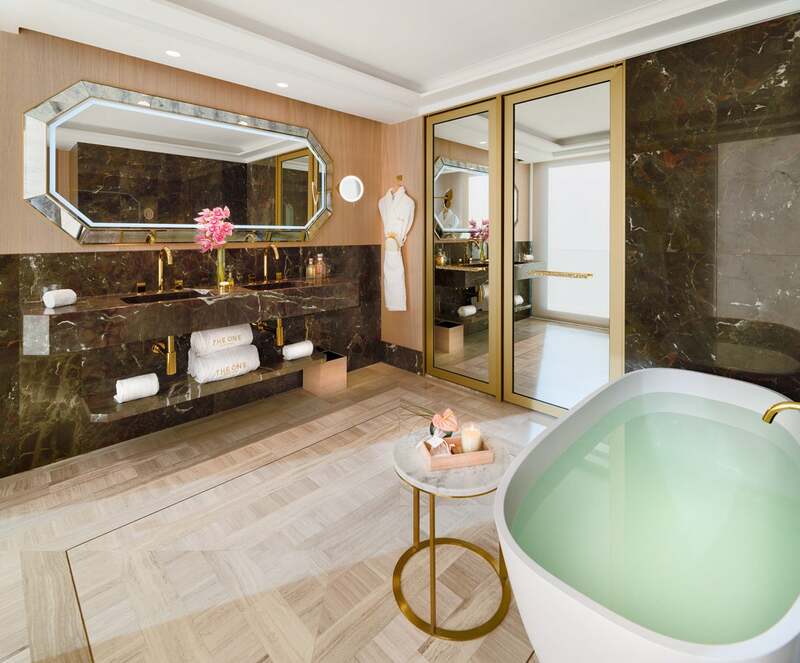 A spectacular 120 m² (1292 ft2) suite featuring two rooms, a kitchen and a fantastic terrace with jacuzzi, sunloungers, shower and Chill-Out area.​Free Despacio Spa access.